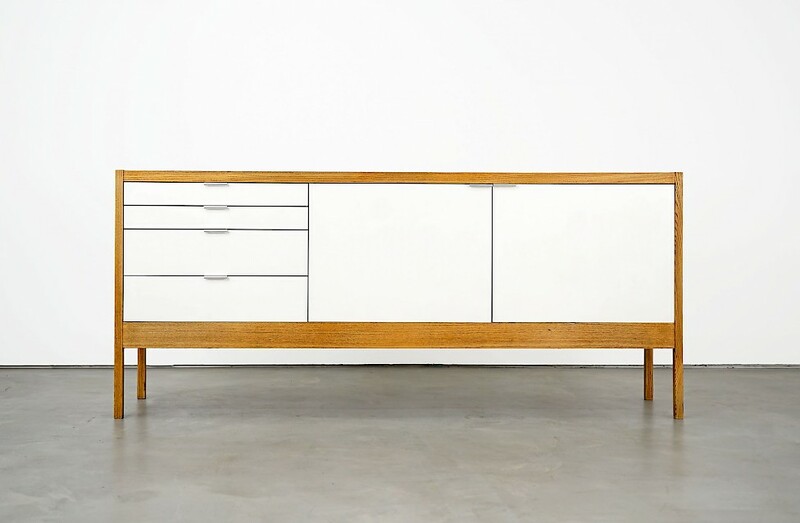 The design of the Series 3 Sideboard by Dieter Wäckerlin for Idealheim dates back to 1963. The sideboard is made of oak and formica elements. Four drawers in different sizes and two doors form the front of the piece of furniture. Behind the doors, three shelves come to light, which can be used flexibly at different heights.